In the-almost last decade, block tech is attempted to overcome issues that mostly involves the financial industry. With that, it now provides P2P transactions fast without the inclusion of a third party dealing with major existing problems. With that in mind, we instantly know that the transactions processes will be done at lower fees with almost equal to no digital-geographical borders. Accordingly, likewise in different tech related industries, there are systems competing with each other. One that is standing out by technology advancement is IOTA. First things first, IOTA joined the crypto-world in 2015 with the work of David Sønstebø, Dominik Schiener, Dr. Serguei Popov and Sergey Ivancheglo who still are running the show in the most important parts of IOTA’s team. Despite the fact that the concept and idea of blockchain in general is loved and much welcomed as it sums almost all up what the cryptocurrency ecosystem is made of – IOTA, like no-other, introduced a coin that is not utilizing blockchain tech to function. It is designed to run on a network called Tangle by Dr. Serguei Popov, which brought to us a way to fix almost all existing issues that digital currencies of the first and second generation are facing. Various benefits are packed in the Tangle-package that has been delivered, like: very fast transactions, no limit to scaling, no-fees and secure data/info transfer. For the system to function properly, there is no need for miners to complete transactions. The network is planned in that way that every time a new transaction is issued, it is confirmed by the next one as the present one confirms two prior itself being requested. Accordingly, the system-network Tangle can handle infinite amount of transactions at zero-cost. Finding ways to implement the above system in real-world events and cases would be very efficient. It is almost immune to attacks even those run by quantum computers. That has made many giants like Audi ThinkTank choose IOTA and test it. Caught on surprise yet very welcoming, At the CEBIT 2018 Expo Germany, Volkswagen presented its joined forces with the IoT focused platform and vehicle manufacturer to demonstrate a PoC on how IOTA network can be used. 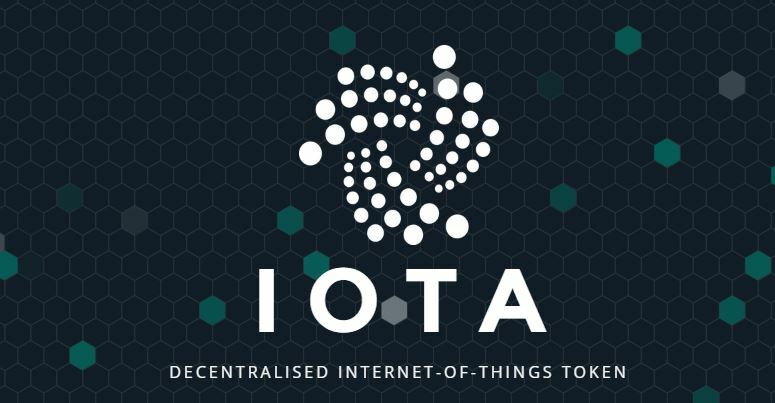 In the terms of developing and exploring the Internet of Things, IOTA has recently partnered up with Norway’s biggest bank. The mentioned bank is called DNB ASA and it represents the largest banking service in Norway while it also represents one of the largest banks in the mentioned area. Looking at the above mentioned events, it does automatically give you a feeling that for the developments to impact the price and be really implemented it will take quite some time. Which is why if similar-to the previous year bulls return in ’18, the pairs MIOTA/USD could reach the potential $11.00. The volatility in the cryptocurrency is on the side, if you’re willing to hold the cryptocurrency for a longer period of time, it will indeed become easier for you to have some beneficial returns. Also, in the current downturn, it is able to stabilize much quicker as compared to some of the other cryptocurrencies.